When we can unravel and understand the threads of our story we have a tool for weaving a more intimate relationship with ourselves and the world. This two-day writing salon will explore the power of story, narrative and writing to help navigate to your inner truth. Within an intimate and safe environment, we will introduce engaging, creative exercises and writing practices to explore personal narrative and sense-making, all through the exploratory tool of reflective writing. Throughout both days, there will be a mix of meditations, reflections, creative exercises and quiet time for writing, as well as sharing. Exploring engaging ways to craft your own personal narratives and go beyond journalling. In this workshop you will be introduced to a range of writing tools and creative practices. 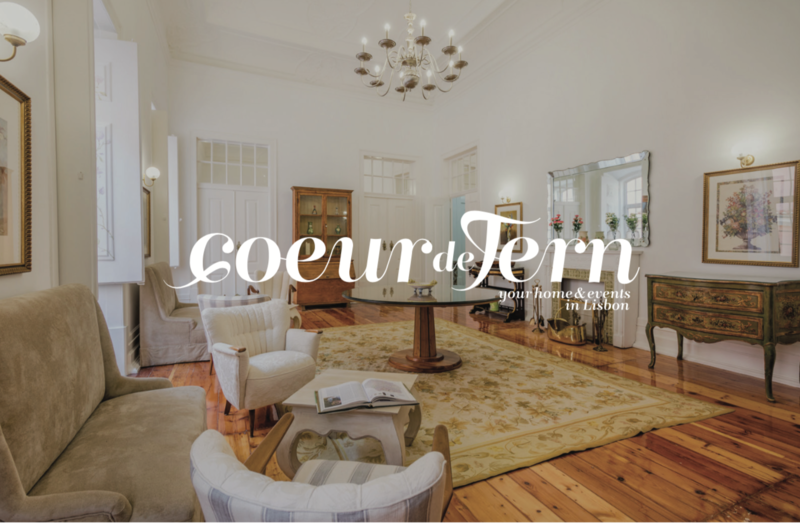 The venue for our workshop will be the beautiful Coeur de Fern Salon in the heart of Lisbon. Bright, open, refined, this elegant space will be be our creative home for the weekend. If you are travelling to Lisbon and seeking accomodation, get in touch. We can provide you with a list of nearby options. Day One (10:00 to 17:00) starts with introductions and setting the tone for the two days with grounding virtues that will create a space for meaningful conversation and sharing. Weaving together teaching and writing exercises, with a break for lunch, our guests will learn the tools necessary for deeper listening and mining of internal stories. Day Two (10:00 to 16:00) will focus on the craft of personal writing. Our group will be guided from the raw material of their stories to the discipline of shaping a narrative. We end the second day with a long lunch that includes discussion and sharing. All writing and discussion will be conducted in English. Yummie lunch, refreshments and your workshop materials included each day. Booking and payment via Paypal. Price includes booking fees, and taxes. Clare Mulvany is an experienced writer, leadership mentor, story-teller and retreat host. She has an MSc in International Education from the University of Oxford and is the author of ‘One Wild Life- A Journey to Discover People who Change our World’, published by Collins Press. 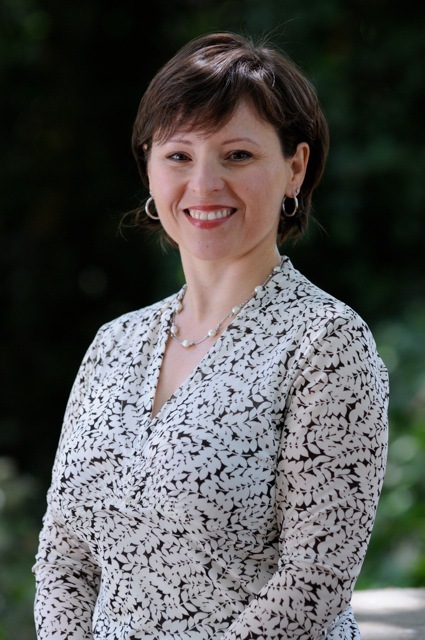 She has been a lecturer in English Literature at China’s top university, Peking University, and a founding member of Suas- one of Ireland’s leading educational non-profits where she lead a leadership programmes in India and Kenya. She later went on to co-found The Trailblazery- an organisation which hosts cutting edge TED-style talks in inspiring venues around Ireland and which has been broadcast on RTÉ and The Washington Post. As a story-teller, her craft was honed as an international documentary photographer when her camera led her to tell stories for social change organisations from Eastern Africa, Asia and as far away as the Pacific Islands. Clare is also the founder of Wild Edge Retreats hosting writing and leadership retreats in West Cork. Alongside this, she is a classically trained hatha yoga teacher and teaches a regular class and workshops. Clare is a Social Entrepreneurs Ireland awardee and The Irish Times named her as one of Ireland’s 60 most creative people. She lives in Schull, West Cork, often seen swimming in the sea, while her little dog waits on shore for her to return. 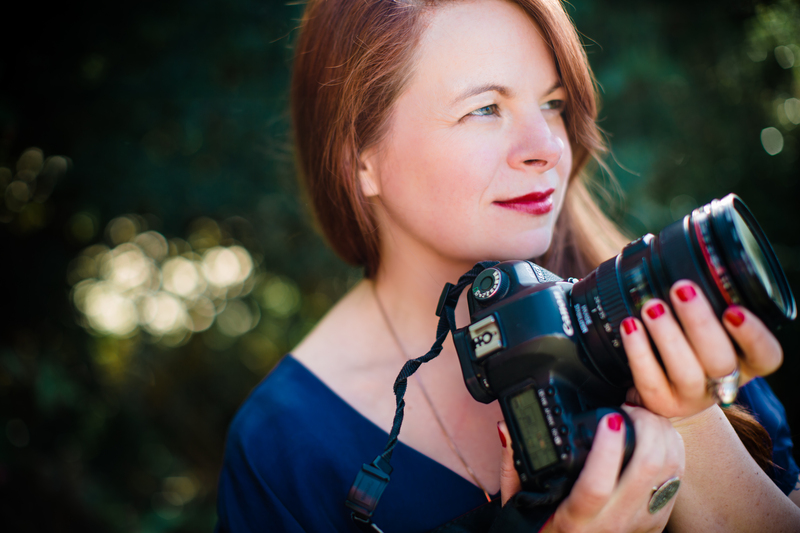 Emily Avila is a maestro of gatherings and a business storytelling coach living in Lisbon. She helps leaders frame their narratives to become better persuaders. Working with global C-suite executives, she facilitates conversations and guides teams to craft shared stories that resonate with their constituents. She has also orchestrated numerous events, from hosting intimate supper clubs to coordinating major outdoor community events (10,000+ attendees). Will I need to read my words aloud? No. Not at all. But if you want to, there will be opportunity to share with the group. Do I need to be a ‘writer’? Well, we believe we are all writers in some way- writing our own lives, day by day. But no, you don’t need to be published, or experienced. This is a creative exploration. Bring along a journal you enjoy writing in and a nice pen you enjoy writing with. We will have some pens and paper also, but it is always nice to have a your own journal! 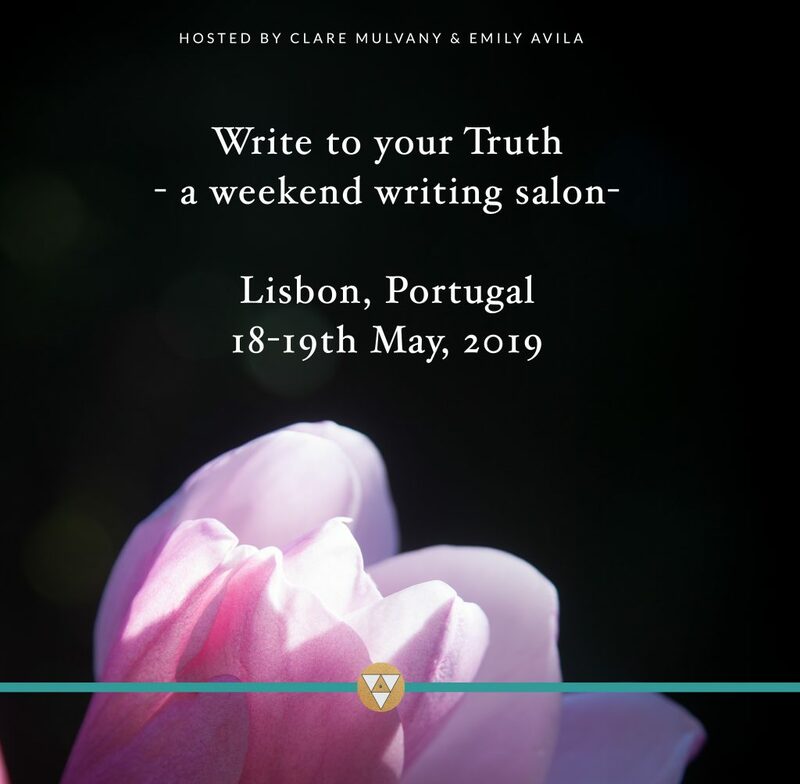 Write to your Truth was a beautiful workshop hosted by Clare Mulvany. Clare creates such a safe, intimate space in which sharing feels natural, even with complete strangers. I felt supported in my writing process and emboldened to further creativity. The day was a wonderful way to connect with other creative people in my area and to learn something of the craft of creative non-fiction from Clare. – Fiona Shevlin. Clare’s workshop opened many doors into the dark, in to the light and offered safe and inspiring ways of exploring experience through words. We worked through a wide variety of stimulating exercises. If one didn’t ‘work’ the next one did. I’m leaving with a set of tools to fee up my own writing and am looking forward to find out where it leads me. Deirdre Mc Mahon. 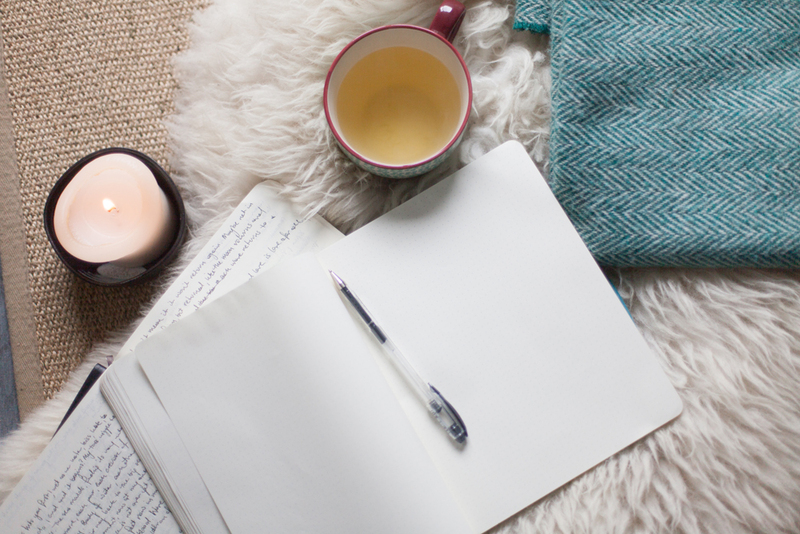 Doing the ‘Write to your Truth’ workshop with Clare allowed me to drop further into presence with my sensory world and to dive deeper into the ocean of expression that is waiting to be released. I discovered new frameworks and pathways to allow the unfolding truth to be expressed through pen onto page. I uncovered surprising truths, just waiting to find an outlet for my own understanding and unfolding of my own path- Treacy O’ Connor. I regained my love of writing for fiction and healing, and a reminder of different modalities for inspiration. I’m not sure where I’ll go with my writing but looking forward to exploring, thanks to Clare’s insights and tools- Anne Marie Callaghan. Clare share her personal wisdom and story which was very impactful as a way of teaching. The workshop was my first experience with writing as a creative expression and I picked up some great practices and points of entry that I will definitely use in the future. The experience was comforting and supportive, and working in a group helped as a way of reflecting on my own experience and how others were feeling. Thank you Clare.- Lesley Keppel. I’d been through quite a big transition in my life this year so far and struggling with decisions I’ve made and I am facing. Coming to Clare’s workshop was in incredibly healing experience for me as it helped me to see who I already am, who I have become and what potential my future holds. I love writing and have a very creative side to my life which has felt very blocked. The exercises in this workshop helped me to tap into my creative self again in a very safe and supportive space. Thank you so much. – Lisa, Wicklow. Yummie lunch, refreshments and your workshop materials included each day. Booking and payment via Paypal. Price includes booking fee and taxes. Come join us for a weekend of writing & connection, learning and discovery.